Hotel Los Agustinos is steeped in rich history, continually evolving in design and purpose over the last few centuries. 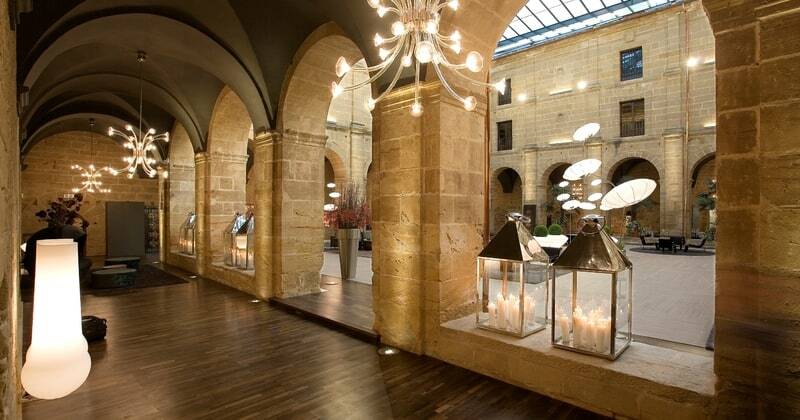 Since its inauguration in 1373, it has successively been a convent, a military garrison, a jail, a hospital and finally, since 1989, the building has been developed into a unique and magnificent town centre accommodation option. The hotel has a superb restaurant on sight, which prides itself on its innovative cuisine and high-quality service. The guest rooms are individually styled and boast a rustic décor, mirroring the authenticity of the building. 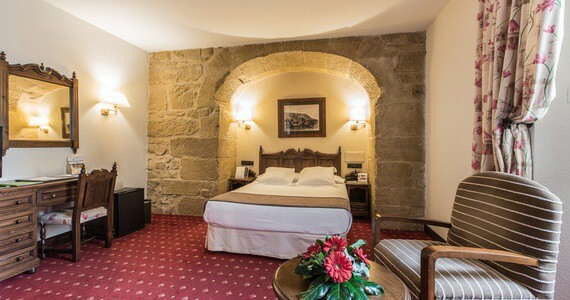 The bedrooms are well-equipped with all expected amenities, including a safe, mini bar, air-conditioning and heating and free WIFI access. Just a few meters from the beach, Hotel San Sebastián is a great base to explore the city and sample some of its iconic cuisine while enjoying the proximity of the sea. The hotel has been recently refurbished and offers all the facilities you would expect from a 4* hotel. There is a restaurant on site offering delicious traditional dishes. 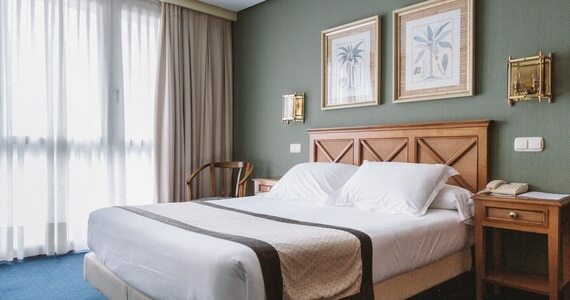 Hotel San Sebastián offers 90 spacious and comfortable rooms. Each of the elegant rooms have complimentary Wi-Fi, climate control, safe, satellite TV as well as en-suite bathrooms with toiletries. The rooms on the 4th floor also have lovely sun terraces.